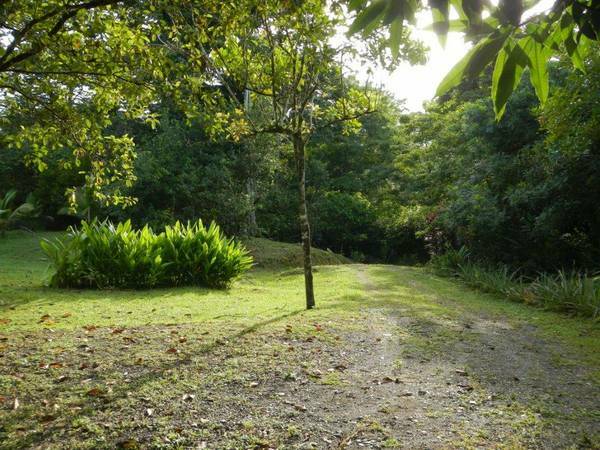 This titled farm with a modest house is located in Cañaza just minutes by car from Puerto Jimenez. Served by both municipal water and grid power, the property is bounded on one side by a small perennial stream. The property is fenced and cross-fenced so that grazing livestock are kept separate from the house and garden areas. The terrain is mostly flat, usable land with interesting undulations along the stream. 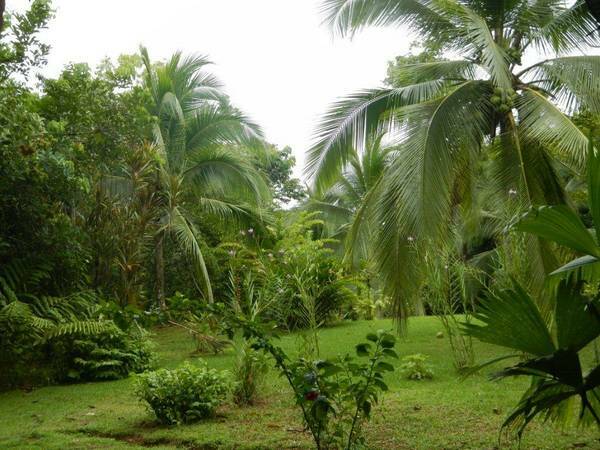 Close to all services yet very secluded and tranquil. All weather gravel road access. 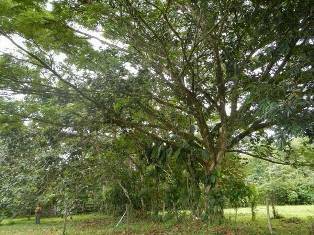 Many large shade trees and many mature fruit trees including mangos and mamon chinos (rambutan), plus a variety of banana and coconuts. 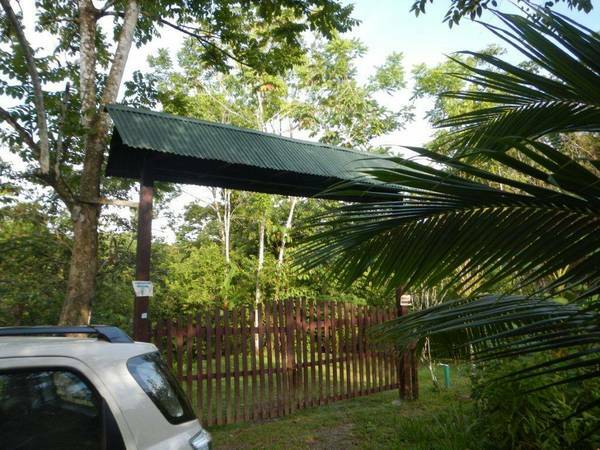 Abundant birds and wildlife, including scarlet macaws, toucans and monkeys. 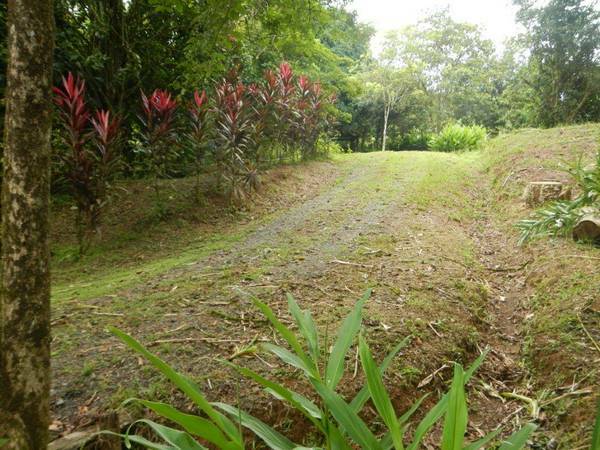 Property has been sustainably managed with limited use of herbicides for the past 6 years. 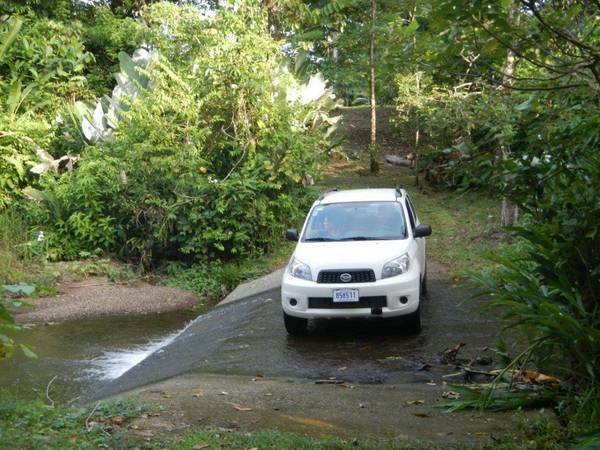 Costa Rica's newest major improved road leads to full services in Puerto Jimenez, including banking, supermarkets and hotels. 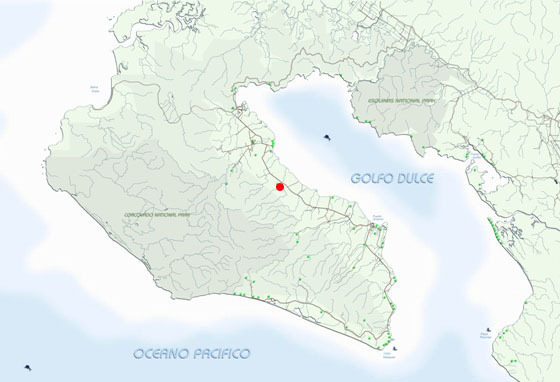 Also just 10 minutes from good swimming beaches on the Gulfo Dulce, Costa Rica's best kept natural secret. Great inshore and offshore fishing and water sports.